It’s that time of year again, Coachella season is officially here. If you’re not ready for the musical extravaganza, don’t panic. Whether you bought a ticket on a whim or have been planning your entire year around it, knowing how to navigate through the festivities is no walk in the park — or in this case, desert. From figuring out what to wear, which artists to see, and even the best way to get there, having a solid game plan is the only way to ensure you have the most amazing weekend possible. No matter where you’re coming from, arriving to Los Angeles International Airport and putting a road trip together with your squad to the festival grounds in Palm Springs is hands down the most fun and affordable way to get there. Plus, sans traffic and stops, it should only be about a two-hour drive. Go ahead, hit the open road, and make your way east on I-10. 1. First things first, pampering yourself beforehand is a must. Indulging in major self-care as soon as you land is a great way to kick things off and the Dream Hollywood has the exact Desert Dreams package you need. 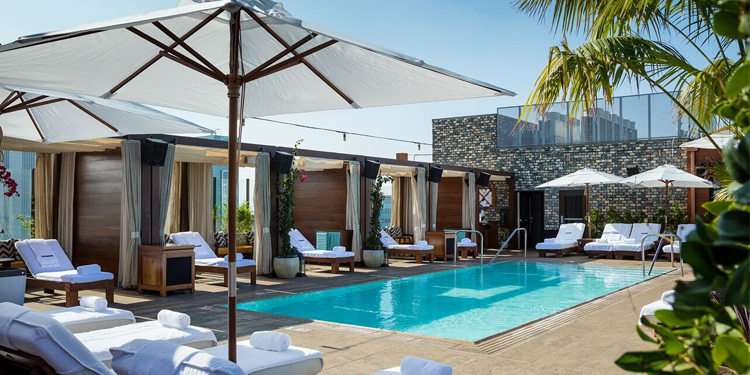 Booking this deal ensures glam relaxation as it includes a poolside cabana, beauty treatments, and premium accommodations. 2. Then, go shopping. Now that you feel good, it’s time to look even better. Make a pit stop at the luxury Desert Hills Premium Outlets. 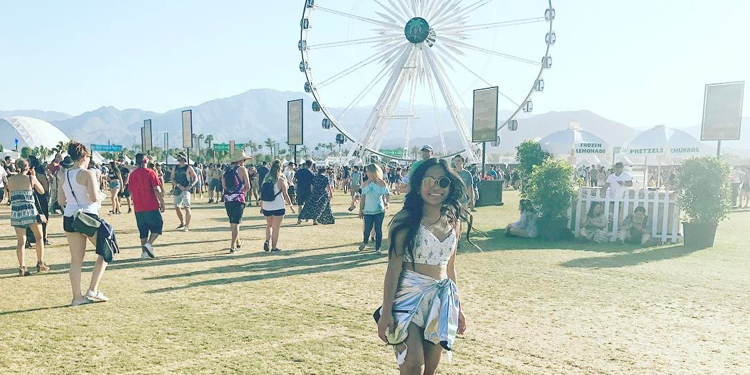 With designers like Gucci, Prada, Versace, Saint Laurent, and more lining the can’t miss shopping destination, you’re bound to find a Coachella worthy look in no time. 3. Hungry? Grab a taco. Crazy Coyote Tacos is a staple for many who have found themselves wandering off to Palm Springs from the City of Angels. If you built up an appetite along the road, this place definitely needs to be on your list. Not only are the tacos highly rated, but the servings are huge and unlike the outlets, stopping here won’t break the bank. Considering how expensive festival food can be, you can’t go wrong with opting for a spot that has everything on the menu priced at under $10. 4. Snap a pic with some dinosaurs. In addition to the iconic Coachella Ferris wheel photo, you need an Instagram with the massive Cabazon Dinosaurs that have been seen on cult classics such as Pee Wee Herman’s Big Adventure and The Wizard. For an admission fee of $13, you can check out over 50 lifelike dinosaur sculptures along with a chance to climb the giant tyrannosaurus rex all the way up to its mouth. 5. Dessert before the desert at Hadley Fruit Orchards . You may be about 20 minutes from Palm Springs, but what’s the rush? Take a moment to stop by and try out their signature date shake. The company has been around since 1931 and there’s no denying the quality of their products. If you’re not feeling a cold beverage, they also offer date cookies, cake, bars, and more. 6. Wind down with the San Gorgonio Pass Wind Farm. On top of almost being there, you have to wake up everyone in the car for this. The crisp white wind turbines are a sight to see and you don’t want to miss it. For a closer look, feel free to park the car and take a tour of the impressive wind farm powerful enough to provide energy for hundreds of thousands of homes. 7. You made it! Finally. 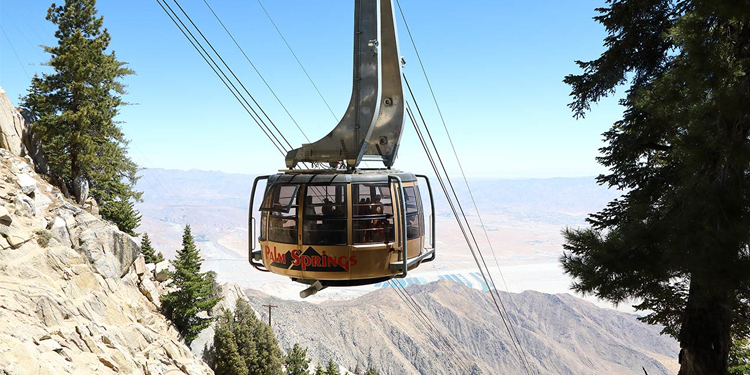 Once you settle in, make it a point to schedule in some time with the world’s largest rotating tram car at the Palm Springs Aerial Tramway . The ride lasts approximately 10 minutes and it takes you along the Chino Canyon cliffs through to Mt. San Jacinto State Park. 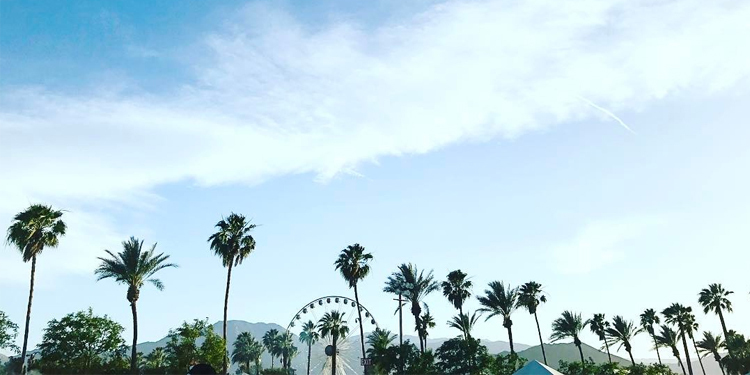 These breath-taking views alone are worth the trip, so make the most of your time at this year’s Ari-chella and don’t miss out on this experience. 8. Don’t go home just yet. If you have time, choose the scenic way back and spend some time at Joshua Tree National Park. There’s a strong chance you’ll run into traffic with festival goers all trying to leave at the same time, do yourself a favour and avoid the crowds with a scenic stop at one of the country’s most well-known parks. To book your car hire from LAX, click HERE .